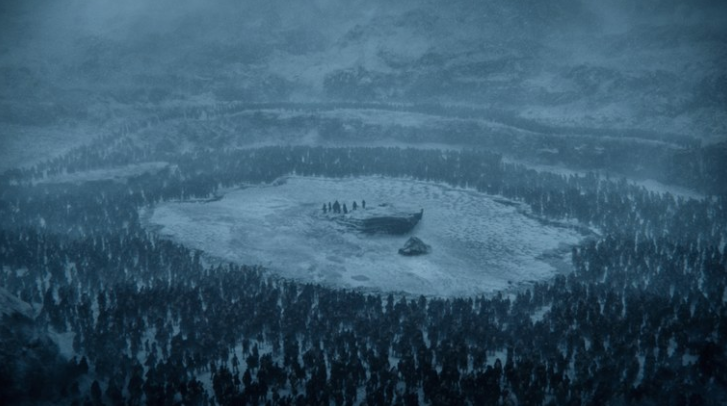 In this first part to the last season, the White Walkers are closing in on everyone and everything with their tough, brutal, and large army. 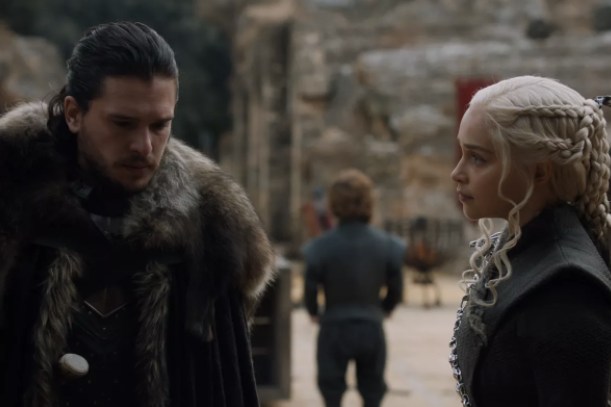 In addition to that, Jon Snow and Daenerys Targaryen need to see eye to eye and team up with the horrible Cersei Lannister with the help of her imp brother Tyrion in fighting the White Walkers. That’s right, in this season we get Cersei, Tyrion, Jamie, Jon Snow, and Daenerys in the same room, talking about teaming up to fight the army of zombies. Meanwhile, Little Finger is trying to put two sisters against each other with Arya and Sansa, which doesn’t bode well for him to say the least. There are reunions galore with characters who haven’t seen each other since the first season and there are of course betrayals, and new friendships. It’s all coming together as we see the major war start with dragons, zombies, and humans fighting one another. This is the most fun the series has been yet, and I don’t want it to end. 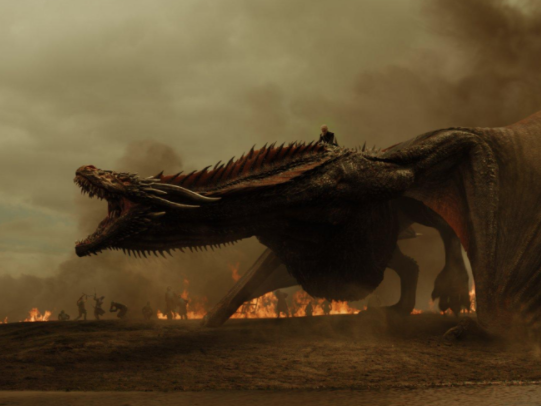 The Video: ‘Game of Thrones: Season 7 flies to Blu-ray with a gorgeous 1080p HD transfer and is presented in 1.78:1 aspect ratio. This season, there was no lagging or stopping the main event story lines. There were thousands of ice-walkers, tons of big boats on the water, wars, battles, and giant dragons this time around in almost every episode, so it’s key to have a good video presentation. HBO has done a great job here with excellent colors and detail in each episode. The color spectrum are polar opposites in certain scenes. When in the cold North, colors have a blue and gray tint to them. The white walkers show only colors of silvers, and blues with some variations of black. It still looks great, but there isn’t a ton of color there. It’s as if everything is decaying, which is much like the zombie white walkers. It just makes sense. On the other side of Westeros, the climate is much warmer, so earth like colors are present with bright greens, reds, oranges and browns. It’s simply phenomenal. The different colored dragons look excellent with their fire having very bright red and orange colors throughout. Now on to the detail, which is spectacular in most scenes. For instance with the dragons, all of their individual scales can be seen easily and the white walker’s decayed skin will show all of the morbid gooey wounds and guts. Other individual hairs show up on beards too. When the heavy CGI effects come in to play, the image rarely goes soft, but at some moments, things can look a bit fake. It only happens a couple of times, such as with all of the boats on water. Everything just looks computer generated here and a bit murky, but other than that, every thing is top notch. The black levels are deep and inky and the skin tones are natural and smooth too. There were no issues with any banding, aliasing, or video noise to speak of. The Audio: This release comes with an impressive Dolby Atmos track that just satisfies you to the core. If there was ever a show that needs an Atmos track, ‘Game of Thrones’ is it, and luckily we have the Atmos track here. Sound effects are big in this show and each sound effect is perfectly layered and balance with excellent directionality here. Just here how well the arrows fly through the air and the swords clank in the big battle scenes. It’s incredible. Each punch, sword hit, and explosion packs a powerful hit that is rock solid and reverberates off the walls. It’s intense to say the least. The overhead speakers utilize rain storms, arrows, and of course those giant dragons flying overhead. I loved every minute of it. The score is always top notch here and adds the necessary emotional tones and suspense. The bass always kicks into high gear and never crosses into rocky territory, which gives the audio track a ton of depth. The dialogue is always clear and easy to follow and free of any pops, cracks, hiss, and shrills. Audio Commentaries – There are 11 different commentary tracks offered here, some of which are on the same episode, but with different people talking. Different actors, filmmakers, producers, writers, and various other crew members talk about the season and each episode, providing fun and entertaining details on making the show. All of these commentaries are definitely worth the listen. Conquest and Rebellion (HD, 45 Mins.) – This is a cool feature on the Bonus Disc of the set that features barely animated stories and histories on the big families of Westeros. All of the major families are covered and provide insight in prequel form of what the families were like before ‘Game of Thrones’. The voice actors are the same as the actual show in most instances. From Imagination to Reality: Inside the Art Department (HD, 22 Mins.) – This is an awesome two part segment that centers on creating the look, style, and sets of the show, and how they build and make everything look like it’s from Westeros. 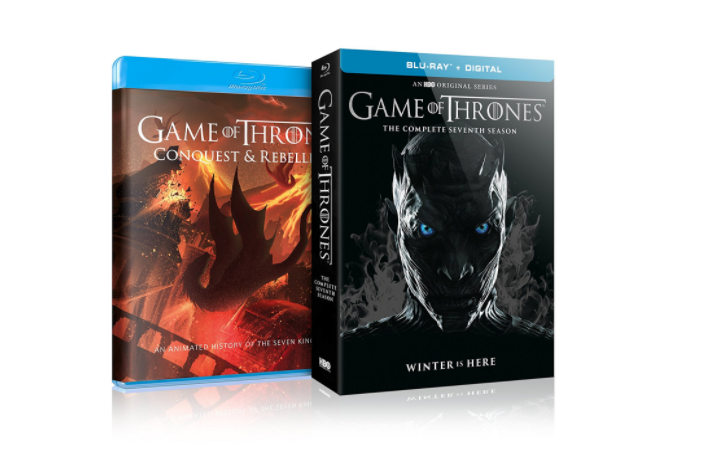 Fire and Steel: Creating the Invasion of Westeros (HD, 30 Mins.) – This is a big and badass EPK featurette that has interviews with the cast and crew, behind the scenes footage, stunt work, filming on location, and more. Definitely worth the watch. In Episode Guide – If you press this button, you will have a pop up fact window that gives you details on the locations and characters in each scene. Histories and Lore (HD, 29 Mins.) 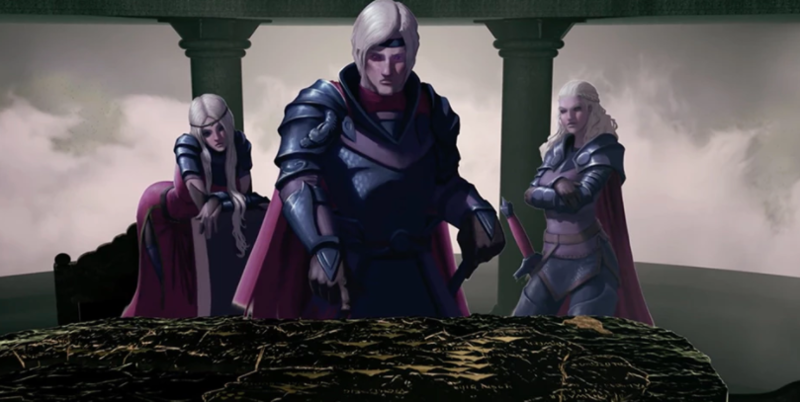 – There are 8 segments in barely animated form that cover the mythos and history, along with the characters, and locations of Westeros. ‘Game of Thrones’ Season 7 is the best season yet of the hit HBO show. It doesn’t get better than this. The stories, characters, writing, visual effects are all top notch here and I can’t wait to see what happens. The video presentation is excellent an d the Dolby Atmos track is out of this world. The extras are all worth watching and the bonus disc is cool, but I wish it was fully animated. HIGHLY RECOMMENDED! ‘Game of Thrones’ Season 6 Trailer Gives More Questions Than Answers!!! « ‘Annihilation’ trailer is here!